TERIMA KASIH: Ahmad (kanan) menyampaikan cenderamata kepada Adenan sebagai tanda penghargaan merasmikan seminar tersebut di Kuching, semalam. KUCHING: Golongan pelampau yang sekadar minoriti, akan terus berleluasa se-kiranya tidak dikekang khasnya dalam gerakan politik. Menteri Tugas-tugas Khas Tan Sri Datuk Amar Adenan Satem berkata, bagaimanapun sebahagian besar daripada rakyat lebih memilih untuk berdiam diri tanpa melakukan apa-apa untuk menge- k-ang golongan tersebut. “Golongan pelampau me-rupakan orang ‘paling bising’ kerana mahu meraih populariti dan mereka berjaya, ke-rana majoriti tidak berbuat apa-apa mengenainya. “Golongan majoriti tidak boleh berdiam diri lagi kerana sudah tiba masanya untuk me-reka mula bertindak dan bersuara bagi mendiamkan pelampau,” katanya ketika berucap merasmikan Seminar Pemahaman Kesederhanaan (Wasatiy-yah) dan Gagasan 1Malaysia. Hadir sama, Timbalan Men-teri di Jabatan Perdana Menteri Datuk Ahmad Maslan. Adenan memberitahu, ge-rakan politik seharusnya men-cerminkan budaya dan watak sebenar di negeri ini. Menurutnya, saling menghormati dan keharmornian bukan sesuatu yang disebut secara lisan, tetapi diamalkan sejak dahulu lagi di Sarawak. “Ia bukan perkara baharu bagi kita. Malah ia patut diperluaskan ke negeri lain seperti Sabah dan Semenanjung (Malaysia). “Saya tidak bermaksud untuk mengatakan mereka bukan seperti kita tetapi perlu mencontohi kita,” katanya. Sementara itu, Ahmad pada sidang media selepas majlis tersebut turut bersetuju dengan Adenan bahawa rakyat perlu menyahut cabaran untuk berhenti mendiamkan diri. “Ambil contoh perhimpunan Bersih, hanya sebilangan kecil daripada beberapa juta rakyat Malaysia yang menghadirinya dan ia me-rupakan petanda ramai yang tidak bersetuju dengan perkara itu, tetapi tidak melakukan apa-apa,” katanya. Selain itu, Ahmad turut melahirkan harapan agar seminar susulan dapat diadakan di peringkat daerah dan bahagian bagi menambah kesedaran mengenai kesederhanaan dan 1Malaysia. Menurutnya, seminar itu yang telah diadakan di 13 negeri termasuk Sarawak dan dihadiri lebih 26,000 peserta juga merupakan petanda baik untuk kerajaan menghadapi pilihan raya. Katanya, lagi ia tetap mene-rima sambutan menggalakkan di negeri-negeri pembangkang seperti Selangor, Kelan-tan dan Kedah. “Ia turut menunjukkan sokongan kepada kerajaan semakin bertambah,” katanya. RARE-EARTHS miner Lynas has had a win in one of its defamation cases against groups voicing strong opposition to its Malaysian processing operation. A free and independent Malaysian media outlet, Free Malaysia Today, yesterday issued an apology for articles it had published, which claimed the Lynas plant could be unsafe. 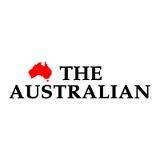 "We apologise for these publications as such claims do not have a scientific basis. 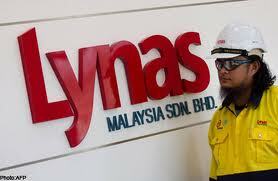 The regulatory review of the Lynas plant has been thorough and diligent," the media company said. The apology comes after Lynas announced in May that it had begun defamation proceedings in Malaysia against the Save Malaysia Stop Lynas group and some Malaysian media outlets. Lynas's plans to process ore from its West Australian mine at the $US200 million ($194m) advanced materials plant in Malaysia are strongly opposed by community groups over fears of a repeat of the health problems associated with a Mitsubishi refinery at Bukit Merah that was closed in 1992. Lynas executive chairman Nicholas Curtis said at the time the defamation case was launched that various groups had crossed the line between fact and defamation. The case against the Save Malaysia Stop Lynas group is to be heard tomorrow. A temporary licence for the processing plant was granted in March. KUCHING: The raising of funds by DAP to help its publicity chief Tony Pua settle a defamation suit has been described by SUPP Youth as nothing more than an exercise to “create sympathy and for political mileage”. Its chief Tan Kai, who has been nominated by SUPP to contest in Bandar Kuching in the coming general election, said the move by DAP had no rationale because everyone must be responsible for their actions. He said Pua, who had been ordered by the High Court in Kuala Lumpur to pay Syarikat Bekalan Air Selangor Sdn Bhd (Syabas) RM200,000 in damages, should not heap this financial burden on the general public. 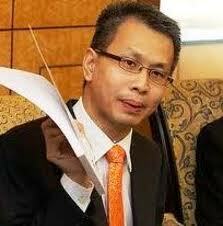 “The High Court has ordered Tony Pua to pay for his defamatory remarks against Syabas. As a responsible politician, he should not past the cost down to the general public,” he told a press conference here yesterday. On another matter, Tan said the number of drivers who failed to stop at red at traffic light junctions had increased lately. He said he had received many complaints from the general public over the conduct of these irresponsible drivers. He appealed to all drivers to stop at red because flouting the law would not only endanger them, but the lives and properties of others as well. Tan said maybe it is time for the relevant authorities to consider installing cameras to bring the culprits to book. KUALA LUMPUR: The High Court here has ordered DAP's PJ Utara MP Tony Pua (pix) to pay Syabas RM200,000 in damages over a defamation suit. Justice Amelia Tee Hong Geok Abdullah also dismissed Pua's counter-claim application and awarded interest at the rate of 4% per annum from the date of judgment till full payment and also costs. Amelia delivered the decision in chambers. In her 49-page written judgment, Amelia said that after considering the evidence adduced by both parties, the court found that the plantiff had succeeded in making out its case against the defendant on a balance of probabilities. "The court herewith grants the plaintiff the injunction sought to restrain the defendant, whether by himself, his servants or agents or otherwise howsoever or wheresoever from further publishing or causing to permitting to be published the words complained or any similar defamatory words of and in relation to the plaintiff," she said. Amelia also said that the impugned words were circulated to over 33,000 people and the publication of the impugned words by a Member of Parliament, the DAP National Publicity Secretary who is also a member of the Selangor State Government Water Review Panel, carried with it far greater connotations and implications than if they had been uttered by an ordinary man in the street. "The public looks up to the defendant as their 'wakil rakyat'(MP) and his utterances would carry far greater conviction. "In such circumstances, it is incumbent upon the defendant, in carrying out his many and varied duties, to ensure that in speaking about and disseminating information which are of public interest to his constituents and the general public, that he does so with a firm resolve to disseminate the information fairly and with no omission of facts which may render a statement to be defamatory. "Whilst the plaintiff may be encountering cash flow issues, the court does not believe that it is looking to this case to replenish its coffers. With a decision in its favour, the plaintiff would herewith be vindicated and the defamatory words shown to all and sundry as being defamatory," she said. In the suit filed on Jan 28 last year, Syabas claimed that with the publication of the report in the newspaper on Nov 2010, the company had been brought into public scandal and its image had been tarnished. Besides seeking an injunction to prevent Pua or his agents from publishing defamatory words against the company, Syabas also sought general damages and costs. The ghost of Palestinian leader Yasser Arafat is rising from his grave to haunt Israel and the Americans. A devastating investigation by Qatar’s al-Jazeera has found mounting evidence that Arafat’s death in 2004 was caused by the poisonous radioactive substance Polonium 210. Arafat’s widow, Suha, is now calling for his body to be exhumed and sent to the Swiss scientific institute in Lausanne that recently discovered traces of Polonium in Arafat’s clothing and personal effects. 1. I wonder why Lim Kit Siang is so afraid of me. His latest fear is about what he calls “Mahathirism”. I don’t know what is Mahathirism but obviously it conjures in the mind of Kit Siang something fearful. So he has declared his intention to fight Mahathirism. 2. Actually Mahathirism died when Dato Seri (Tun) Abdullah took over from me in 2003. He changed UMNO, the BN and the Government so much that they no longer resemble the institutions I used to know. I had to resign from UMNO. 3. Najib is more friendly but he is not that close to me. He has his own team of advisors. His policies are his own. So why fear Mahathirism. It is dead and gone. 4. Yes, I am active in campaigning for UMNO and the BN. That is because it is payback time. I became Prime Minister because UMNO and BN backed me; and backed me strongly. I owe a debt of gratitude to them. And that gratitude can only be manifested through helping UMNO and BN to be accepted by the people and to win. 5. Of course in backing UMNO and the BN coalition I would be helping my son Mukhriz as well. But why shouldn’t I. I am not the Prime Minister now and certainly I am not in the UMNO Supreme Council or the Barisan Nasional Representative Council. 6. When I was Prime Minister I did not allow my children to play a prominent role in UMNO politics. Certainly they were not allowed to become candidates in any election even though in 2003, when I was about to step down, Tun Khalil Yaacob, as Secretary of UMNO tried to persuade me to allow my son to take over the leadership of Kubang Pasu UMNO. Had I allowed it, he would most likely take my place as member of parliament for my old constituency. 7. My son Mukhriz now has to contest in another constituency led by someone else as division leader. He is not even a division head. 8. If Najib chooses him as a candidate I will campaign for him as I would campaign for other UMNO/BN candidates. After all Kit Siang promoted his son Guan Eng all the way to become Chief Minister of Penang when he was the powerful secretary of the DAP. 9. 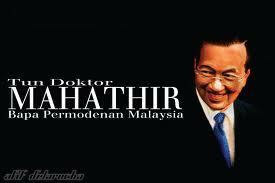 I don’t care whether he destroys Mahathirism or not. It is an exercise in futility as Mahathirism is a figment of his imagination. He should not be afraid of this toothless tiger figuratively speaking. Penangites care as much about their hills as their beaches, so the DAP-led state government had better learn to listen. PENANGITES care passionately about anything and everything that affects their state. And they have no qualms about making their views heard. Their ultimate weapon is the ballot box, and those politicians, especially the importees with their inflated egos, had better learn to listen before it is too late. I recently got a copy of an email that was addressed to Chief Minister Lim Guan Eng and several state executive councillors. The writer, having just read the latest issue of Buletin Mutiara, did not mince his words when he slammed the government for misleading Penangites with its front page report stating that “the hills are alive”. Balding top: Penangites are incensed over the wanton destruction of hill slopes in Penang. He then went on to reveal that there are many patches of hills that are being cleared at this very moment. Overall, the content of this email clearly shows that this Penangite is very angry over the wanton destruction of hill slopes and is not amused that every time the issue is brought up, the current government keeps throwing the buck back at the previous administration. It serves no purpose to organise a climb up Penang Hill and then claim everything is fine. Seriously, with due respect, the state officials were just looking at the wrong side of the hill. It was nothing more than just a publicity stunt in the hope that the issue will go away. Penangites care as much about their hills as their beaches, and also every social and civic issue in town. It has always been so although they may appear louder these days simply because there are more platforms and social media channels for them to shout through. But why is it that any genuine airing of grievances, like the hill issue, is perceived as “politically motivated”? And why is the state always going after journalists who, because of their connection to the ground, are but mere messengers in airing these concerns? It is so convenient to blame everything on “media lynching” and to call journalists all sorts of names, including being tools of Barisan. The DAP did well in the March 2008 political tsunami because Penangites wanted change. They were fed up of the Koh Tsu Koon government and wanted a strong leadership for the state. No one was surprised when Lim Guan Eng cruised to such a convincing victory. But with the current term almost at the end, the DAP-led government is still singing the same old tune of claiming credit for itself when things go right and shifting blame on others when things go awry. The writer of the email cited development in the Sungai Ara area and challenged the CM to get the state executive councillor Abdul Malik to show him around. “Come after a heavy downpour or rain and you will see the clear streams from the hills turn RED ... it's bad,” he wrote. Strong words indeed. But that's how Penangites are. However, instead of understanding and listening to them, the state leaders prefer to talk down to them or, worse, label them with all sorts of names. At the end of the day, we should all agree that there is a need for a comprehensive urban planning policy with clear focus on sustainable development. The hills are choking, and there is no need to engage in political semantics over whether a project is above or below 76m, or whether a project is deemed “special”. Will there be more high-rise condominiums on the way, as a DAP assemblyman has revealed? Confusion can arise when there is lack of clarity. 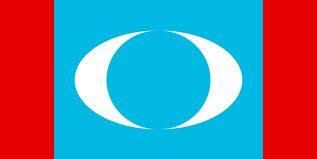 The ordinary Penangite, without access to the files, will comment on what is apparent before his very eyes. Listen. And listen hard to the Penangites who still care. 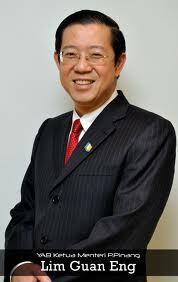 The debts owed to various Selangor-owned companies have still not been recovered, says Labis MP Chua Tee Yong. KUALA LUMPUR: The MCA alleged today that the Selangor government had “lied” about recovering millions worth of debts from public-listed company Talam Corporation Sdn owed to various Selangor-owned companies, as the loans have still not been repaid. Labis MP Chua Tee Yong said the Selangor government had possibly misused public funds when it helped “bail out” Talam with a RM392 million supplementary budget passed in the State Legislative Assembly in 2009. Besides, he said the Pakatan Rakyat government had even bought additional RM676 million worth of assets from Talam (now known as Trinity Corporation Bhd) to further assist the company. Chua, who is also Deputy Agriculture and Agro-based Industries Minister, said if the debt – RM392 million – is added to the RM676 million spent by the Selangor government to purchase additional assets, the total sum would amount to “about RM1 billion” in what he termed a “questionable deal”. “This is a clear-cut case of a bailout whereby the Pakatan state government used the rakyat’s money to help a listed company by buying a lot of its assets. Why did they continue to purchase more assets?” he said at a much-hyped press conference at the MCA headquarters here today. Of the RM392 million, Talam supposedly owed Universiti Selangor (Unisel) and Permodalan Nasional Selangor Bhd (PNSB) RM277 million and SAP Holdings RM115 million. To substantiate his claim that monies were not paid out, Chua cited state-owned Kumpulan Hartanah Selangor Bhd’s (KHSB) annual report where about RM115 million was still stated as being owed; and the fact that Unisel still needed to liquidate its assets during the PTPTN (National Higher Education Loan Corporation) controversy. “There is no need for Unisel to sell assets to raise RM30 million for its use if they did receive money from Talam’s debt recovery exercise,” said Chua, who is an accountant and former chief financial officer of a government-linked company. He said the Selangor government’s claim that all debts have been recovered on behalf of the state companies is incorrect. He said the deal was fishy. According to Chua, Talam’s annual report had disclosed that on March 12, 2010 and April 9, 2010, the Selangor government purchased assets worth RM676 million from the company. However, he alleged that Talam walked away with RM266 million in cash which was paid to Talam bankers from this deal. He questioned why was RM266 million paid to Talam when an amount of RM284 million (RM676 million offset by RM392 million) was supposed to be paid. “What happened to this RM18 million?” he asked. 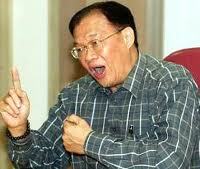 Chua said after the “deal” with the Selangor government, Talam was no longer classified as PN17. “Instead of recovering the RM392 million debt, the Selangor government bought up an additional RM284 million worth of assets from Talam to assist the company,” he said. He said the reports stating that the state had allocated RM300 million for the Selangorku programme – supposedly proceeds from the deal with Talam — was “a lie, a sham”. “Where did this RM300 million come from?” he asked, claiming that he had information that the RM676 million assets the Selangor government acquired from Talam were not touched. “[It has] not been sold to external parties and any transaction is internal between the state government and the state companies. Neither were there any development projects carried out on the lands which were acquired,” he said. Chua urged the Selangor government to immediately present a white paper on the matter, as previously promised and disclose all the assets acquired and their valuation and basis. He said that in July 2010, the Selangor government had promised to table a white paper on the state government’s controversial debt recovery exercise involving Talam. Chua said this was “just the beginning” and asked the public to wait for “part two” of the “scandal”. Earlier, Chua posted a series of tweets teasing about an alleged scandal “involving RM1 billion worth of wheeling and dealing”. He claimed that the scandal involve a public-listed company and abuse of public funds. He said in one of his tweets that it was “shocking” how well the Pakatan government has managed to conceal the alleged scandal through complicated transactions. Chua said the deals were related to asset transfers, restructuring tactics and corporate exercises, among others. MIRI: Internet users need to utilize social networks ethically, as the misuse of them will risk disturbing the peace and harmony of the community, Sibuti MP Ahmad Lai Bujang stressed. He said users of social networks such as Facebook and Twitter must use the platforms as a medium to strengthen the community. “The abuse of social networks such as in instigating baseless rumours could give destructive effects on other internet users, thus stirring up bad feelings and disturbing public peace,” he said at Miri-Sibuti Parliament Facebook gathering on Sunday. He said the Prime Minister also make use of the social network to directly connect and understand the people’ sentiments. “I myself also make use of Facebook to interact with netizens to get updates on current issues faced by my constituents, thus, I see the social network gives various advantages if utilised in positive ways,” he said. However, he said not all the comments posted by netizens in the social network are positive, including personal attacks on the people’s representatives. “I admit I do receive some negative messages through the social network, however, as the people’s representative, all such messages should be taken openly and where possible use them to improve for the better,” he stressed. 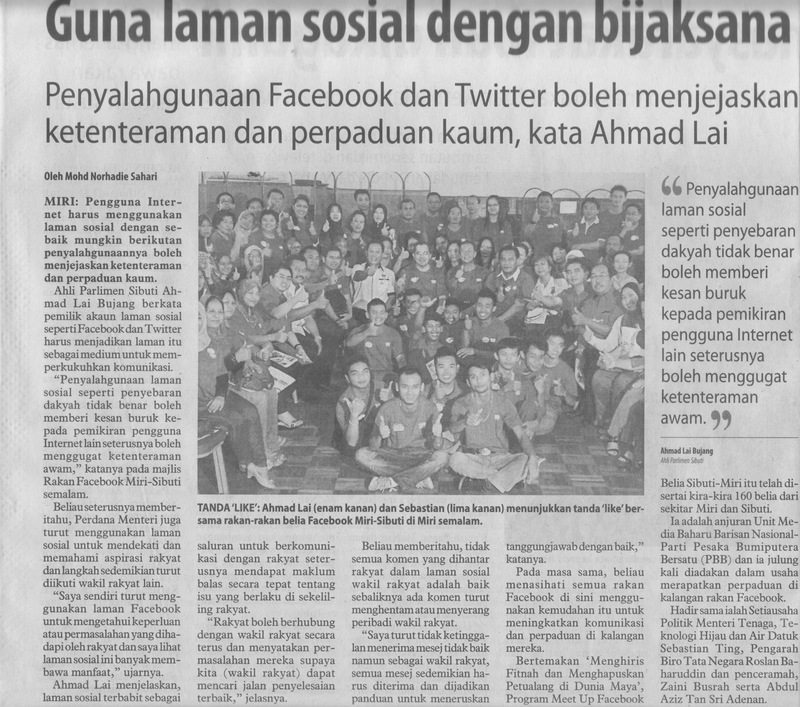 The gathering was attended by more than 150 youths from Miri and Sibuti. 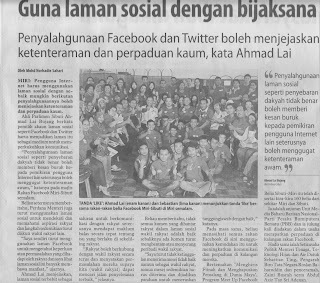 Barisan Nasional/Parti Pesaka Bumiputera Bersatu (PBB) New Media Unit hosted the event for the first time to strengthen solidarity and enhance awarenss among Facebook users. Also present at the programme was Political Secretary to Minister of Energy, Green Technology and Water, Datuk Sebastian Ting.